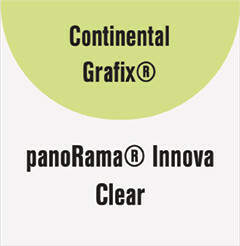 panoRama Innova Clear is a clear vinyl film with 80/20 perforation pattern. maximum privacy and sunscreen while maintaining an excellent see-through level. Easy to install and remove and inside graphics have many advantages.